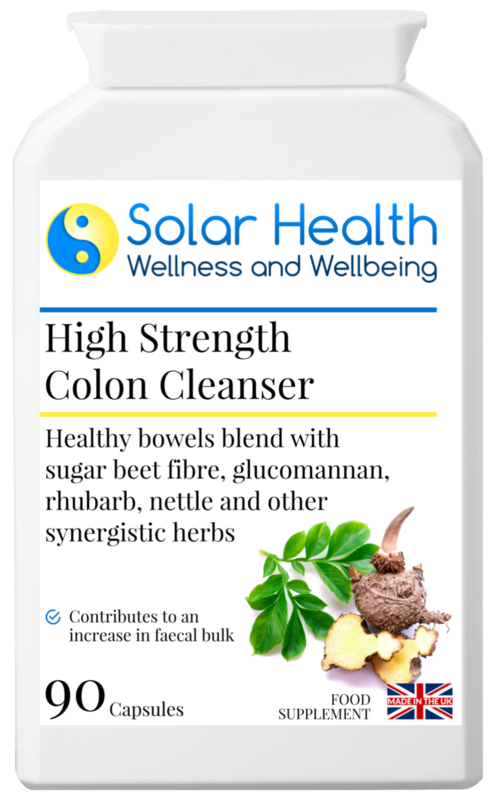 A combination of 9 active ingredients in this herbal colon cleanser act to support lower bowel function and natural internal detox. 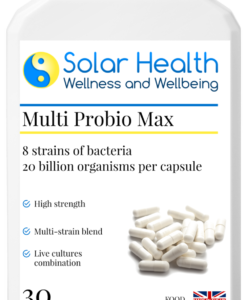 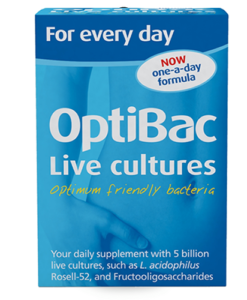 The powerful action of this supplement makes it a favourite with colonic hydrotherapy clinics. 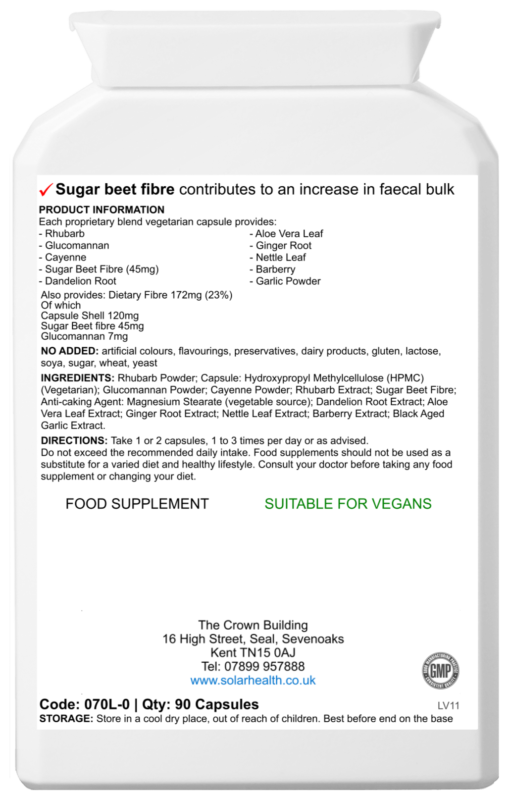 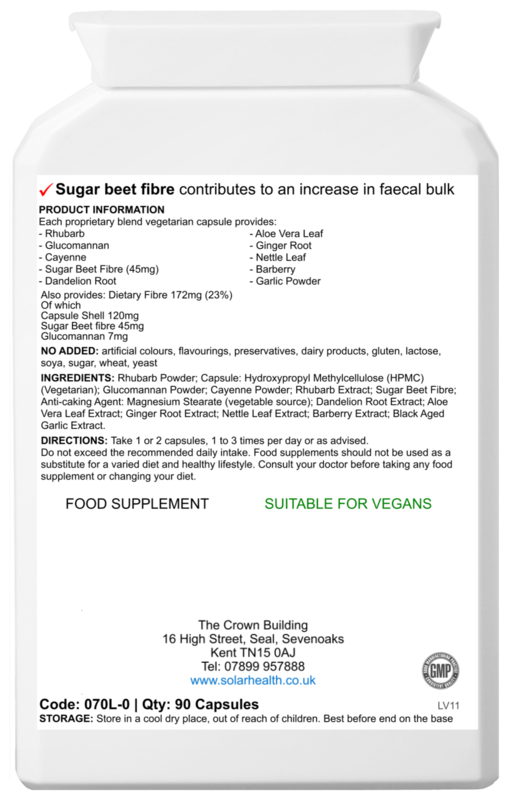 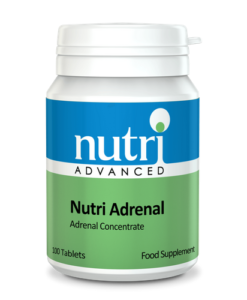 Contains rhubarb powder, barberry bark powder, cayenne powder, garlic powder, glucomannan 90%, nettle leaf powder, aloe vera extract, dandelion root extract and ginger root extract. 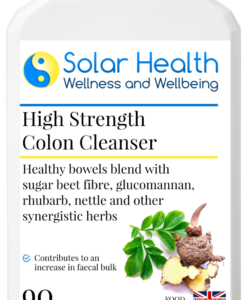 NOTE: This is a strong herbal colon cleanser and (as with all colon cleansing supplements), it is designed for short-term use. 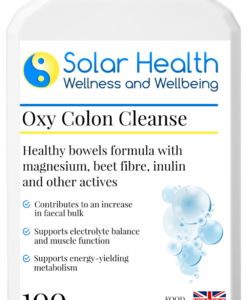 It should always be used in conjunction with improved eating habits, increased water intake and a sensible exercise regime.